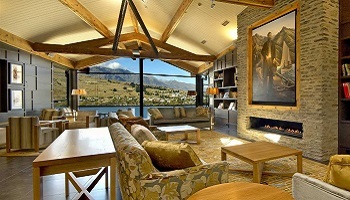 Combining breathtaking scenery, world class golf, adventure and relaxation at unique accommodation offering superb Kiwi hospitality in Christchurch and Queenstown. 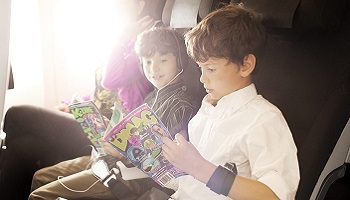 Highlights include golf at Clearwater Resort, Pegasus Golf Club, Terrace Downs, Millbrook Resort and Kelvin Height or Jack's Point Golf Course. 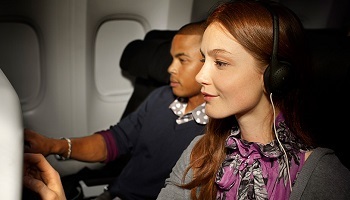 On arrival at Christchurch International Airport, private transfer to your hotel. Enjoy four nights at the Peppers Clearwater Resort. ACCOMMODATION - Peppers Clearwater Resort. 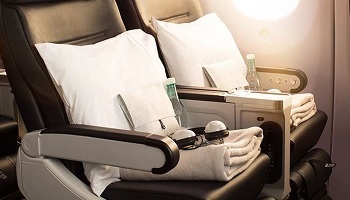 The resort offers comfortable accommodation and breathtaking views. 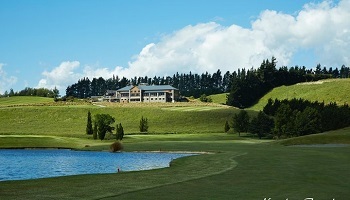 Guests enjoy an 18-hole championship golf course, which is home to the New Zealand PGA. The resort offers a range of modern accommodation including spacious guest rooms, suites and villas, many with kitchen facilities. 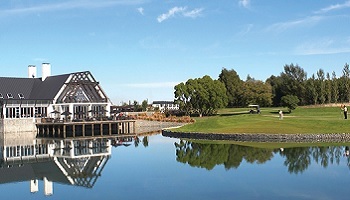 All of the accommodation options overlook the lake and the golf course. 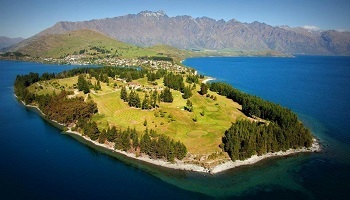 Leisure facilities at Peppers Clearwater Resort include tennis courts and bicycle hire. Fly-fishing can also be arranged. 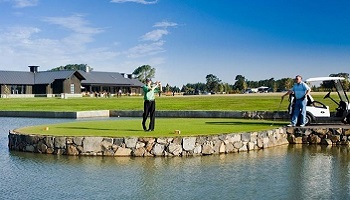 Today a round of golf included at Clearwater Golf Course. 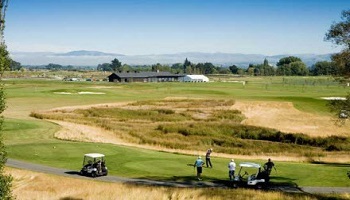 This par 72 championship course is home to the NZ PGA Championship. 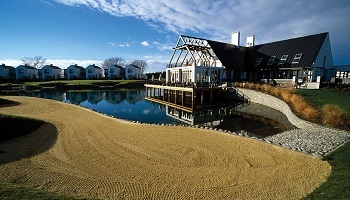 Designed by John Darby in consultation with New Zealand golfing legend, Sir Bob Charles, the course combines elements of links golf inspired by the great Scottish courses with parkland golf, more reminiscent of Florida. 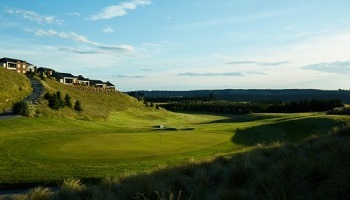 Playable year-round, the course at Clearwater is aptly named. 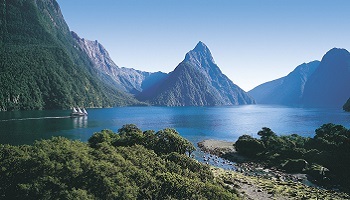 Its fifteen hectares of lakes are fed by an abundance of natural springs and crystal clear streams, teeming with trout. This morning you will be collected from your hotel and transferred by private vehicle to Terrace Downs (approx 1hr 15 mins). 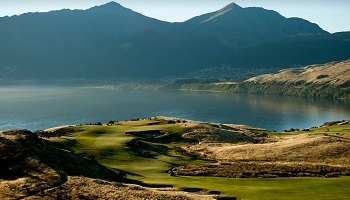 Based at the foothills of the Southern Alps, there are few scenic alpine courses like it. 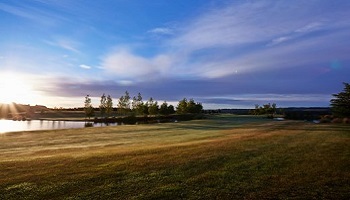 The golf course at Terrace Downs is fun and challenging for all golfers, from the first time novice to the aspiring professional. 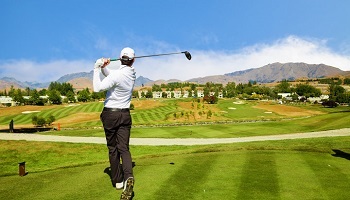 Discover just what it is that makes Terrace Downs such a popular venue when it comes to golf courses in Christchurch and the entire Canterbury region! 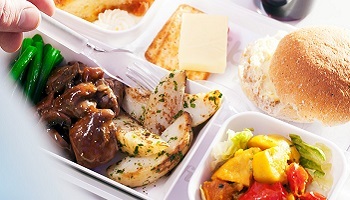 This morning you will be collected from your hotel and transferred by private vehicle to Terrace Downs (approx 20 mins). 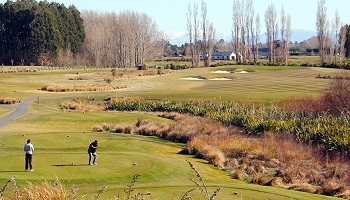 Pegasus Golf Course is a beautiful parklands-style par 72 – 18 hole championship golf course. With superb features and stunning views from every tee, golfers of every level will enjoy an excellent challenge and a game to remember. 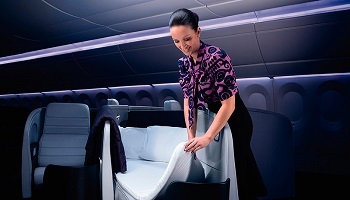 This morning you will be collected by private vehicle and transferred to Christchurch airport. 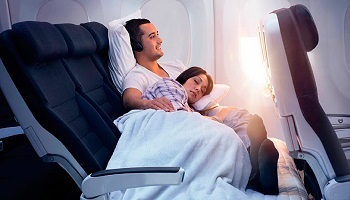 Fly Christchurch to Queenstown. 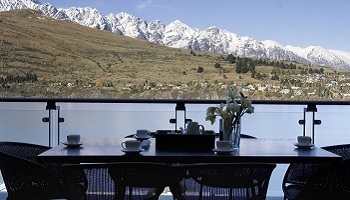 Surrounded by majestic mountains and nestled on the shores of crystal clear Lake Wakatipu, Queenstown’s stunning scenery is inspiring and revitalizing. 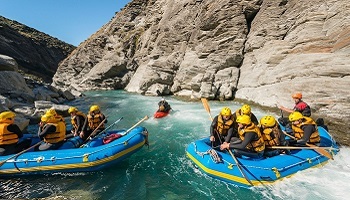 With such a huge range of activities in Queenstown, no two days will ever be the same. 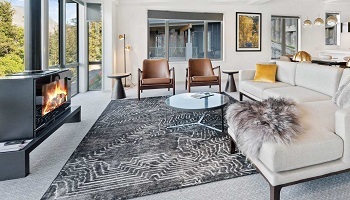 Collect your rental vehicle and self drive the short distance to The Rees Hotel. 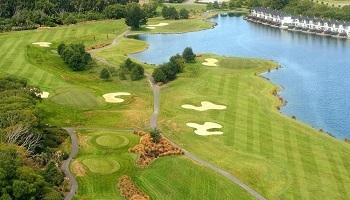 Today a round of golf is included at the Millbrook Golf Course. 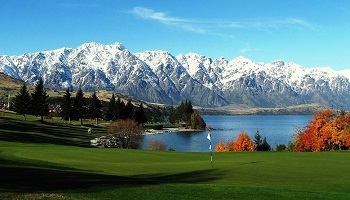 Dwarfed by the surrounding mountain ranges of The Remarkables and Coronet Peak, the dramatic terrain challenges all levels of players. 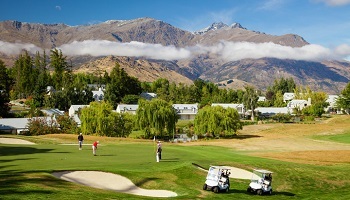 Today a round of golf is included at either the Queenstown Club Kelvin Heights Golf Course or Jacks Point Golf Course. 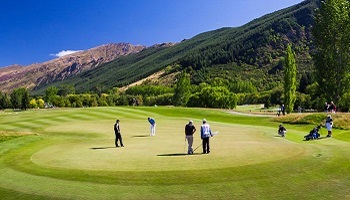 Kelvin Heights Golf Course is situated in the amphitheatre of the Remarkable Mountains and offers a unique opportunity to play on what is internationally regarded as one of the most picturesque golf courses in the world. 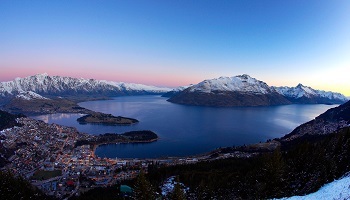 Return rental vehicle to Queenstown airport in time for flights to US (via Auckland).